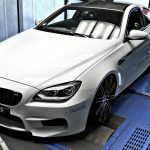 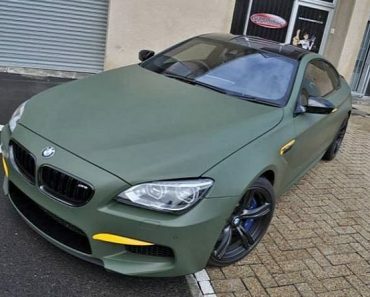 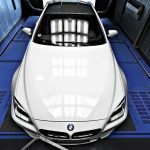 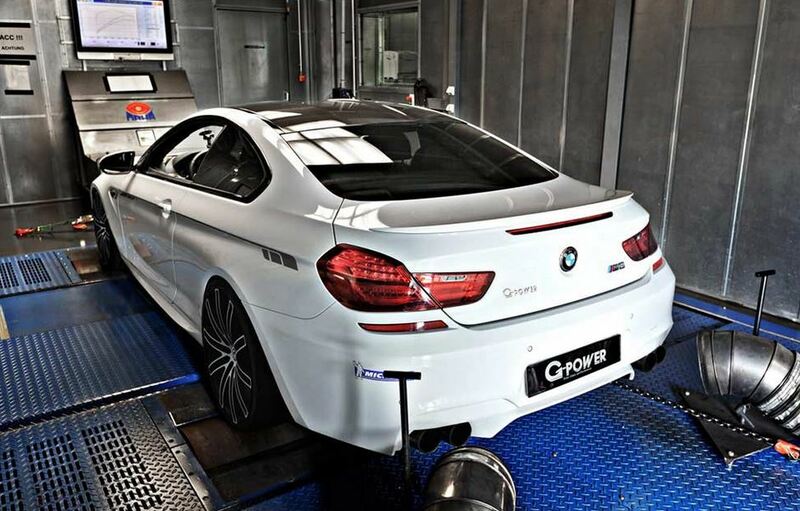 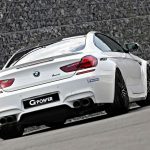 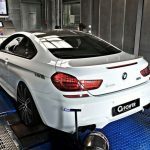 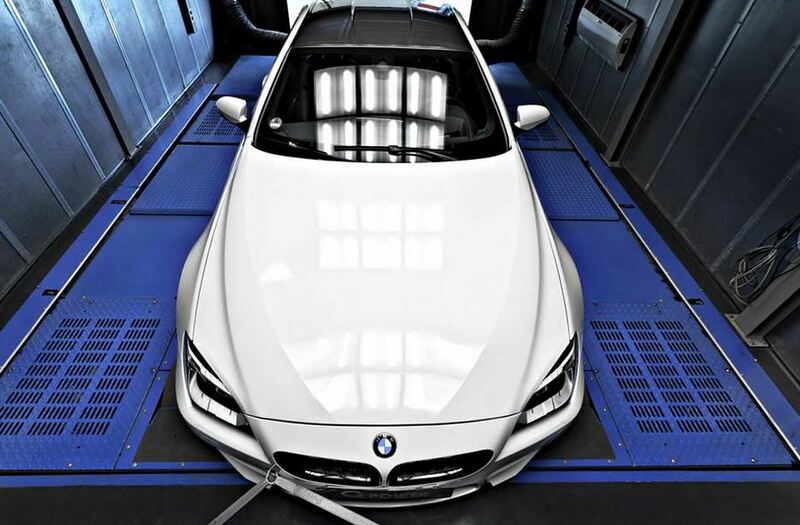 Some more insane tuning comes from G-Power and this time, the BMW M6 was the target of their attention. 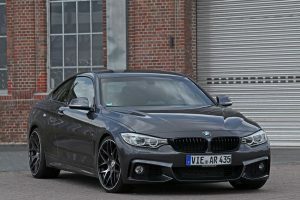 The latest kit, while leaving aesthetics pretty much untouched, really make the powertrain shine. 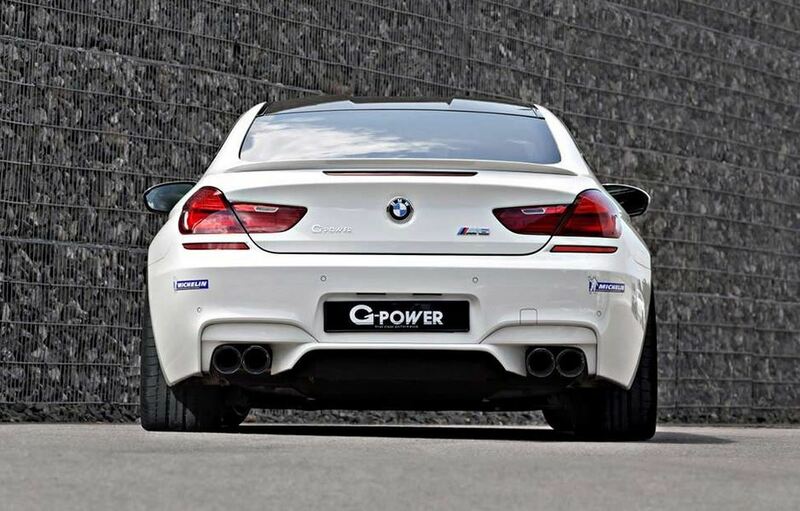 G-Power’s upgrade consists of their new Bi-Tronik III V2 ECU software to really pumps up the power output from the engine. 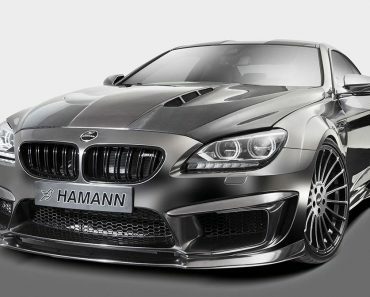 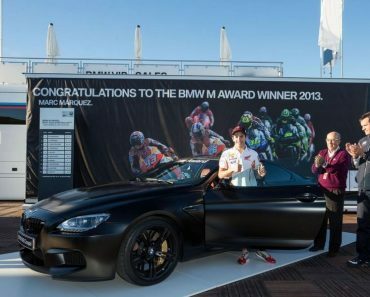 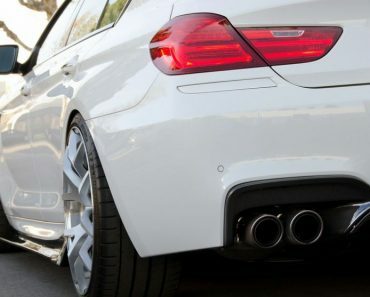 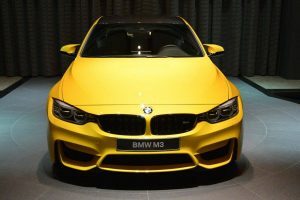 Together with a titanium exhaust system, they managed to get the 4.4 liter V8 engine up to 710 hp and 890 Nm of torque. 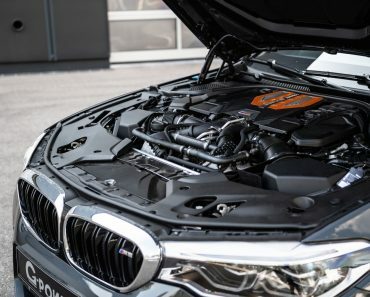 The numbers alone are quite impressive, even more so as they represent a 150 Hp and 210 Nm increase over the standard output. 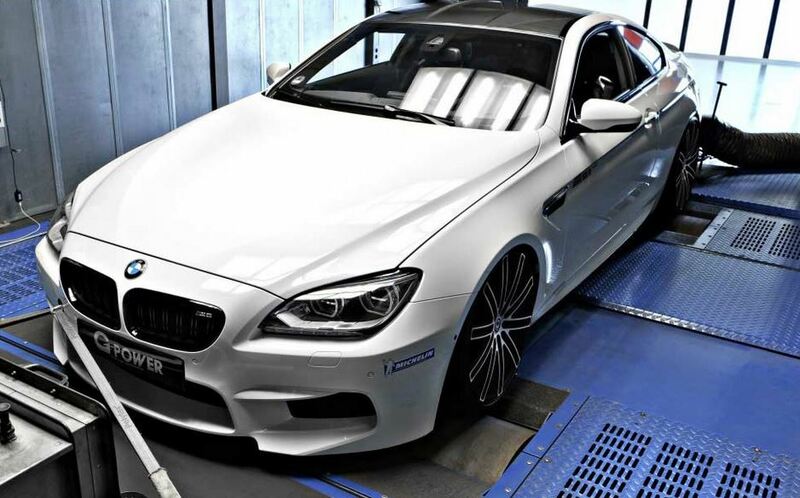 This kind of muscle will allow for an acceleration time to 200 km/h of just 10.8 seconds. 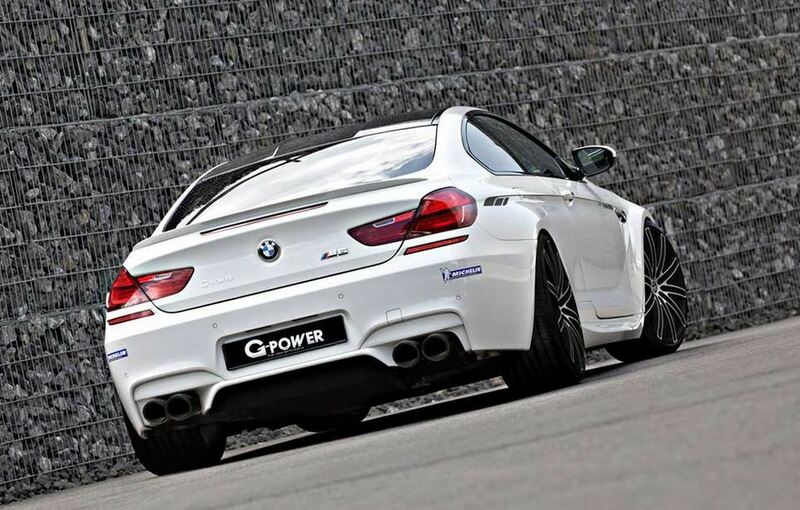 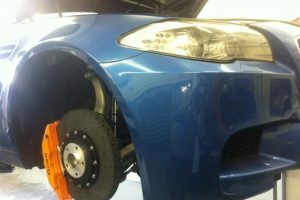 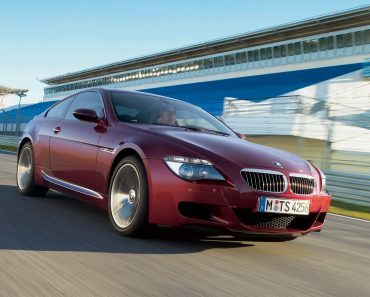 To hold the newfound power in check, G-Power also installed several other parts on the BMW M6. 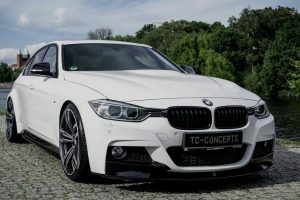 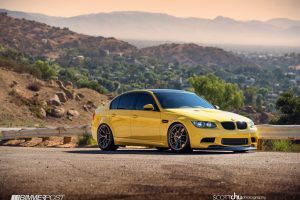 For an adjustable ride, they installed the GM6-RS coilover suspension kit, while a carbon ceramic front brake will help the machine stop faster. 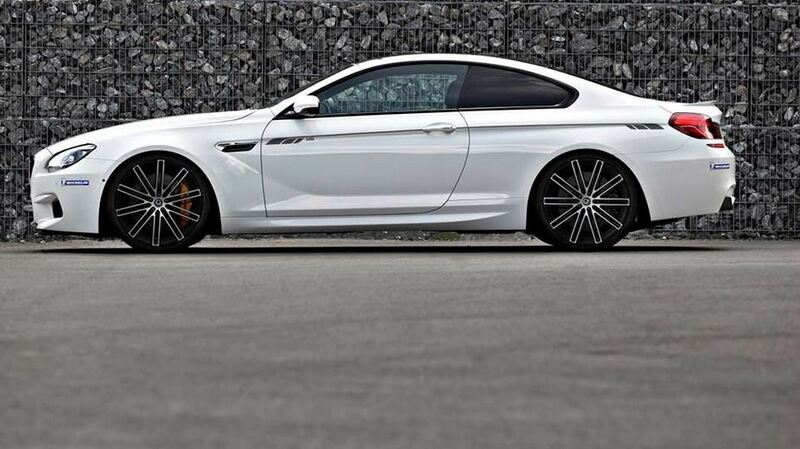 The only addition to looks are their 21 inch Hurricane alloy wheels.